Fairy Tale Fandom: Teaser as old as Time, Musical as old as Rhyme. Teaser as old as Time, Musical as old as Rhyme. Okay, so I’m working today and I go out and take my lunch break. I look at Facebook on my phone and what do I see? The first teaser for Disney’s live action Beauty and the Beast has dropped. Now, the thing about teasers is that they don’t show much. They just “tease” you with a little bit. However, some teasers show you more than others. I mean, am I the only one who remembers the teaser for Disney’s live action Cinderella? I wrote about it back when it premiered. It was a shoe. A digitally rendered, sparkly glass shoe but a shoe nonetheless. You could argue that the shoe is so iconic that nothing else was needed, but I’d disagree. Now, the Beauty and the Beast teaser gives us some shots of the castle, a few words of dialogue from some supporting characters, the iconic rose and a slightly obscured view of Emma Watson’s Belle. As far as teasers go, I’m pretty happy with it. They could have just given us a shot of the rose and a title and been done with it. But they didn’t. They gave us more than that. The Disney Remake Machine keeps rolling on, and shows no sign of stopping now. I’m actually rather glad to be riding it. Weird, right? Considering how I poke fun at Disney all the time. But the truth is, I think the fact that I’m not a major Disney fan is one of the reasons I’m enjoying this. I mean, remakes in general are more enjoyable if you accept that the original product was not a perfect masterpiece. Once you accept the flaws and the fact that stories can be told different ways, it’s easier to be open to studios trying again. Also, even though I’ve said in the past that I’d like to see other studios try to tell the old tales, Disney still does it the best of everyone in Hollywood who’s tried. As flawed as they could be, I’ll still take Maleficent or Burton’s Alice in Wonderland over something like Pan anyday. Heck, I didn’t even bother with The Huntsman: Winter’s War because it looked awful. And believe it or not, Disney’s the studio that seems to be most likely to draw from the older versions of the story. They included all sorts of details from Kipling’s book in The Jungle Book. Some of these studios just use the broad strokes and then add in whatever they want. 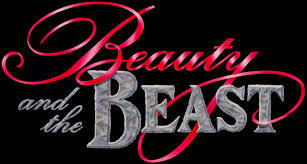 Anyway, from what little we know of Beauty and the Beast, it may be the most remake-y of all the remakes. It’s supposed to be a straight-up musical adaptation including songs from the animated film. This makes a certain amount of sense. For one, Disney’s animated Beauty and the Beast is still a fairly recent film by Disney standards and pretty fresh in people’s minds. Also, of the films revisited so far, Beauty and the Beast is the only one with a highly successful Broadway musical based on it. If they’ve already established they can do the musical with live actors, why not do it? Or, if you’re being more clinical, it makes less sense to further a brand that started with an animated musical and continued with a stage musical with anything but a movie musical. Though they probably won’t offer any surprises from Villeneuve’s book, I’m still looking forward to it. There’s not much else to say, but since I have you here why don’t I point you toward some more Disney fairy tale related online content I like. I’m actually something of a fan of the various comedic movie reviewers found online. In fact, my on-again, off-again moniker of the Fairy Tale Geek is inspired by reviewers like the Nostalgia Critic, Nostalgia Chick and Black Nerd. So, I thought I’d direct you to this 3-part episode of Brows Held High in which host Kyle Kallgren and guest Tony Goldmark (the theme park reviewer also known as Some Jerk with a Camera) compare and argue about Jean Cocteau’s and Disney’s versions of Beauty and the Beast. The review includes parodies of pretty much all the songs from the Disney movie, including one called “Kill the Mouse” which is basically what every critic of Disney might sound like if they went off the deep end. Also, speaking of Nostalgia Critic, here’s the “Old vs New” video of Cinderella. The Critic and Hyper Fangirl argue over which Disney version is better and come to an unexpected conclusion. That’s it for now. Stick around because later this week I’ll have another legend to talk about. Until ever after, this is the Fairy Tale Geek signing off. The State of the Kingdom.